All the wood is sourced and harvested with consideration for our environment and will vary slightly as nature intended but will be of the same species of wood. This does not affect the aesthetics of the toppers and each will be as yummy as the next. 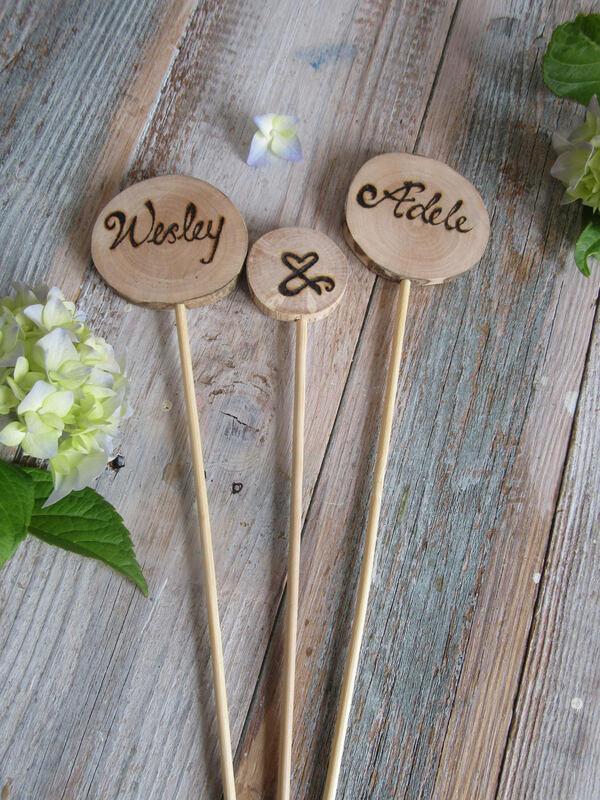 Beautifully made personalised cake toppers to celebrate a wonderful occasion and available in two lengths. The soze of the wood slice is approximately 5cm . 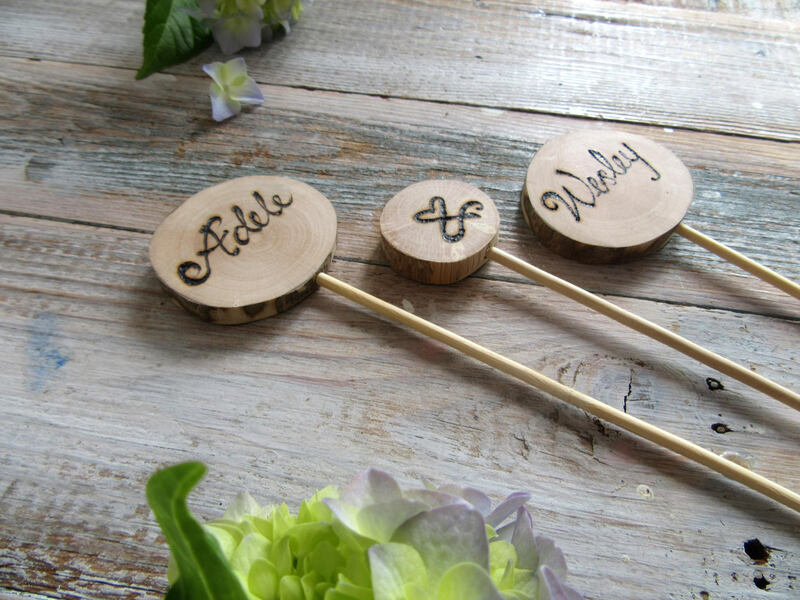 The toppers are inscribed by hand, no complex tools, just a good eye and heaps of passion so for those who love the feel good factor of the hand made then these are perfect. Total length of each stem from the top of the topper to the base of the stem is 10 ins / 25 cm and 6ins/15 cm. Kindly select your requirements from the drop down menu. 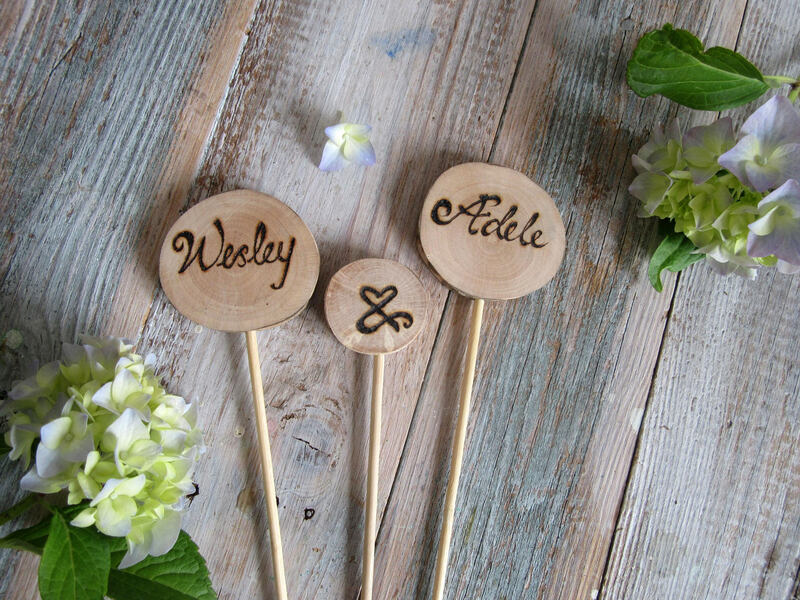 If you have any queries or wish to have a quick delivery please feel free to message here on Etsy or woodywomansworld [!at] gmail.com. I am always around and more than happy to help. 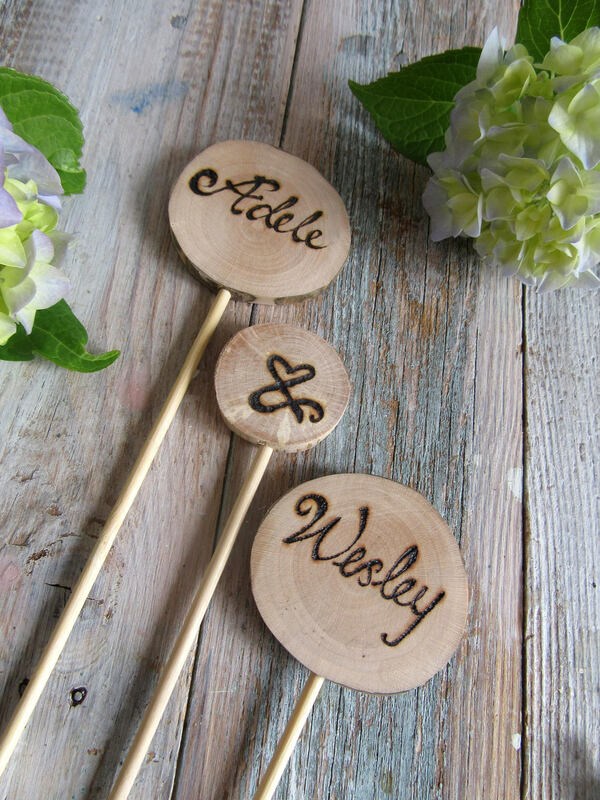 Cake toppers were great and looked brilliant on top of our wedding cake. They arrived beautifully wrapped and the seller was really helpful and quick to reply. Thank you.